The Red Sea hotel where travel agent Susan Cooper and her husband died last month has received an abundance of five-star reviews from holidaymakers over the past 10 days. 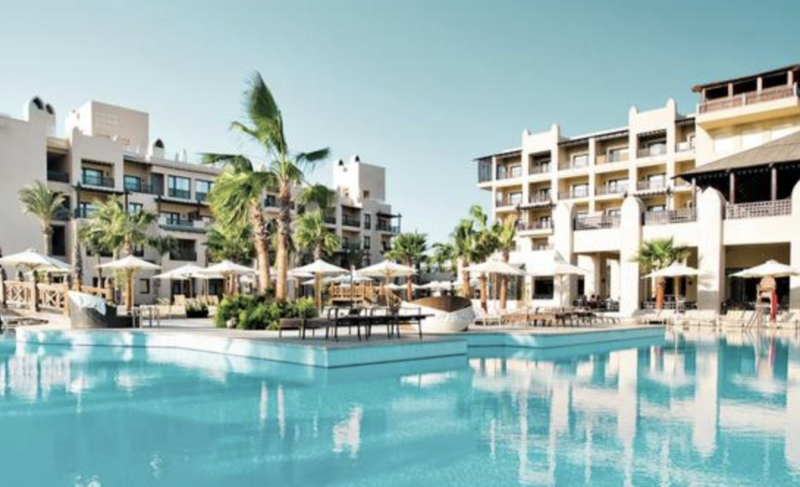 Many of the new TripAdvisor reviews for the Steigenberger Aqua Magic hotel in Hurghada are from British customers, some of whom are repeat visitors. Reviews describe the property as 'a lovely hotel' and 'immaculate'. One reviewer said he was 'treated like royalty' while repeat visitor Jane Collins from Chester said: "Every visit just gets better and better." The reviews contrast with recent reports of guests being taken ill at the resort, with many complaining about poor standards since news of the deaths of Mr and Mrs Cooper. Mark H, who stayed in August with this family for the third year in a row, said: "The hotel is kept meticulously clean and the food was always of good quality and choice. I have nothing but praise for this hotel." He added: "Even with the tragic events that have happened of late, my family and I would have no hesitation in returning to this fantastic hotel. In fact, if I could afford it then I would go back there tomorrow." A family from Blackburn said they'd stayed for their fourth visit in May, in their usual room. The reviewer said: "Me and my husband have never been ill while staying at this hotel. We have already booked to return in December." Many of the reviews received replies from general manager Dieter Geiger thanking them for their 'support and loyalty'. It has been claimed the Coopers stayed next to a room that had been fumigated hours before, according to the Mail on Sunday. The couple's daughter, Kelly Ormerod, confirmed the room had been fumigated but said: "We don't know its significance because by now there are unlikely to be any remaining traces of substances that might have been there." However, experts at Hurghada General Hospital, where post-mortem examinations are being carried out, say it is unlikely the couple died from fumes. Meanwhile, it has been reported a British woman travelling with Thomas Cook has died in a banana boat accident in Egypt. Thomas Cook is 'urgently investigating'.